Jewish Humor Central: Comedy Showcase: Elon Gold - Not ShamWow, But ShmataWOW! Comedy Showcase: Elon Gold - Not ShamWow, But ShmataWOW! Elon Gold is an American comedian, television actor, writer and producer. He starred in the television series Stacked. He also starred in the short-lived sitcom In-Laws. Known for his impressions, including those of Jeff Goldblum, Howard Stern and Jay Leno, Gold was a judge on the ABC celebrity impersonation competition series The Next Best Thing.Gold was also in the movie Cheaper by the Dozen as a cameraman from the Oprah Winfrey show. 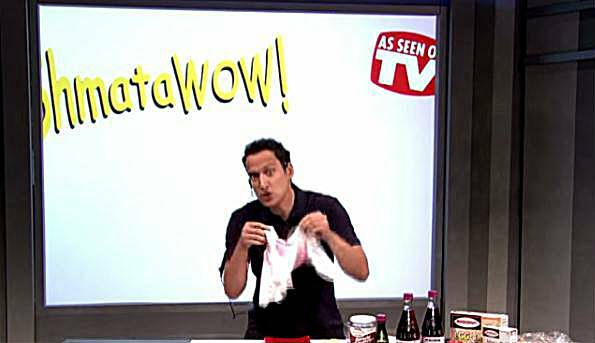 Here is Elon Gold in a parody of Vince, the ShamWow guy, as performed on the Chabad Telethon in 2009. Enjoy! Thanks Al! This guy is spot on with this parody.